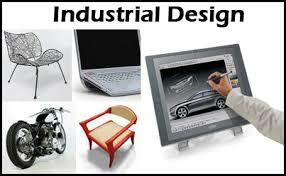 In Israel, the design law in place is the 1922 Patent and Design Ordinance dating from the British Mandate. The patent sections were canceled and replaced with the 1967 Israel Patent Law, but the design sections are still in force. Now, nearly 100 years on, a proposed Design Law has been drafted (6 July 2015), and, if it undergoes three readings in the Knesset it may become law. During the Knesset readings, it may undergo amendments, so it is by no means certain the the proposed law will be legislated as currently drafted. Nevertheless, the draft has a number of points of interest. The term מדגם is being replaced with the term עיצוב to emphasize that the new design law does not only cover the design of physical objects of manufacture, but also the design of fonts and of computer icons and the like. This was largely to correct a wrong decision regarding fonts. The previous law related to registered designs only. The new law offers protection for up to three years for non-registered designs, considered suitable for clothing fashions and other trends having limited shelf-life. This proposal will bring Israel into line with Europe where non-registered designs have limited protection. It is proposed that fonts, even if non-registered, will be entitled to up to 25 years of protection. Currently, designs may be protected for up to 15 years. The proposed amendment will extend this period to 25 years, in line with Europe. If a design is marketed in Israel as a non-registered design, it may, within 12 months, be registered. Under the current regime, absolute local novelty is required. In an attempt to conform this to international practice, a Commissioner Circular M.N. 74 creatively interpreted disclosure on the Internet, particularly in Registered Design Databases from other jurisdictions, as novelty destroying. The proposed law requires absolute international novelty and significant differences from other designs. In an infamous decision known as A.SH.I.R. the Supreme Court ruled that the catch-all Law of Unjust Enrichment can be grounds for suing 1998 copiers of non-registered designs where there is some additional element of bad faith. The Proposed law is intended to make this no longer possible. Sanctions can still be obtained under specific laws such as trademark and fair trade ordinance, but Unjust Enrichment cannot be used where a design could have been registered but wasn’t. As a formalist, I am very pleased that A.Sh.I.R. is finally being put to rest. Employee designs are considered the property of the employer. Here there is perhaps a lacuna in the Law. Designs are often, perhaps usually, created by subcontractors not employers. Consequently, instead of leaving everything to interpretation of contract law and work for hire, it may be sensible to clarify the status of industrial designs products by a design house for a company.